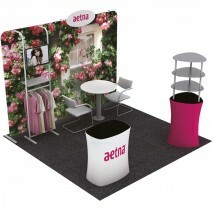 Range of lightweight and portable fabric display stands ideal for trade shows, exhibitions, in-store and promotional events. 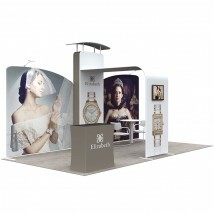 Fabric pop up display and pop up exhibition stands are available with custom printed graphics, which are produced in-house to ensure top quality results, using the highest quality inks and printing equipment. 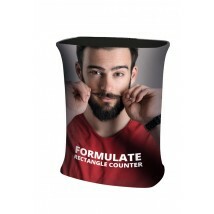 Assemble in only 12 minutes! 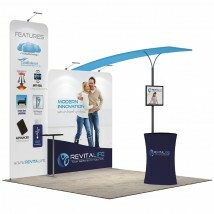 Fabric display stands are becoming increasingly popular in the display marketplace. 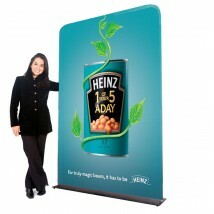 They are lightweight cost-effective and impactful. 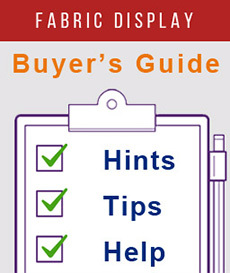 This guide will explain what fabric displays stands are their benefits and how to choose the best fabric display solution. 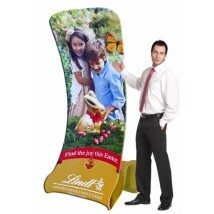 What are Fabric Display Stands? 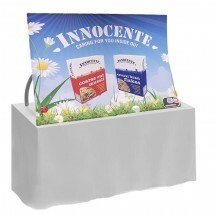 Fabric display stands are lightweight and portable promotional displays made from stretchy fabric material, which has a custom graphic printed onto it, which is then slid easily over the frame. 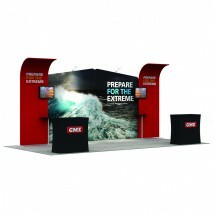 They are used primarily at exhibitions and in retail and popular product ranges include fabric pop up stands and banner stands. 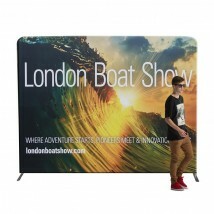 They consist of a lightweight aluminium frame that is supplied in short sections. 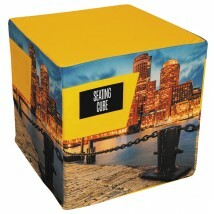 These sections are numbered for ease of assembly and simply slot together without the need for any tools of experience. 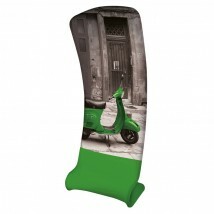 Once the display frame is assembled the pillow like graphic is slid over the frame and zipped up. 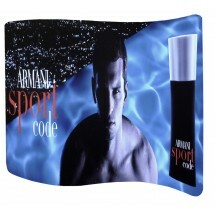 The slight stretch in the fabric keeps your graphic under tension, taught and crease free which means you can fold it up between events. 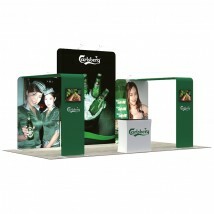 This makes fabric roll display stands and fabric pop up stands popular alternatives to traditional pop ups and banner stands. 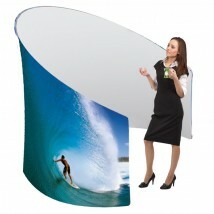 The graphics are printed using the latest dye sublimation techniques. 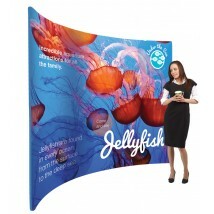 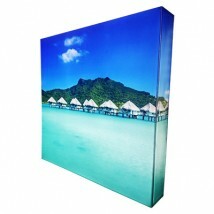 Dye-sub printing gives the longest lasting print available, ideal for busy trade shows. 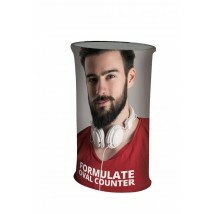 The result is truly outstanding. 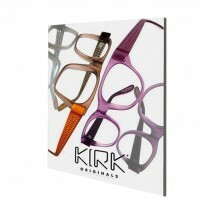 Vibrant colours are fused into the material for exceptional durability. 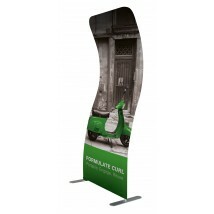 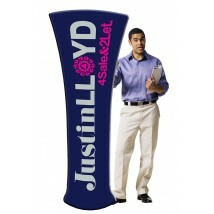 Perfect for pop display as well as exhibitions. 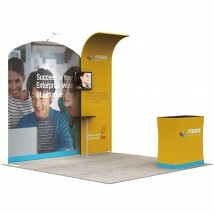 A modern twist on pop up displays designed for quick and simple set up without fuss. 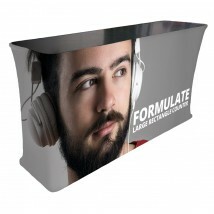 And when your marketing message changes no need to order a new indoor frame just a set of graphics which can be changed as you require. 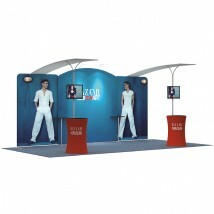 Stretch fabric display stands are the new version of pop up displays. 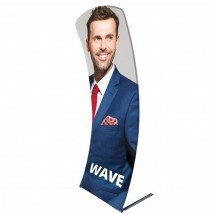 They are a simple cost-effective way of promotion in a wide range of venues for a wide range of events such as trade shows stands or experiential marketing events in a shopping centre. 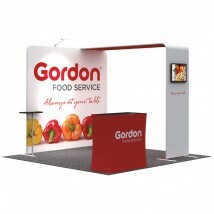 A great benefit of fabric display is the seamless nature of the graphics there are no panels to line up like a traditional pop-up and no joints. 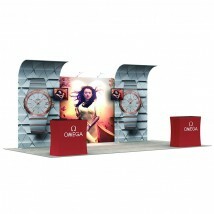 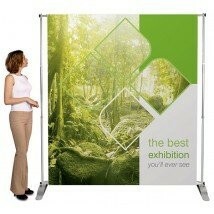 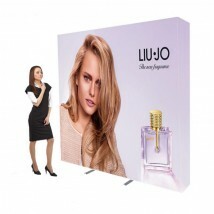 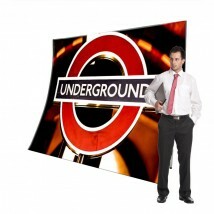 Why choose a stretch fabric exhibition display system? 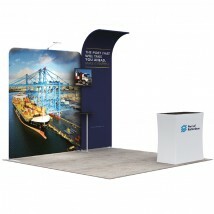 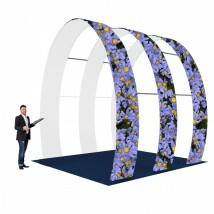 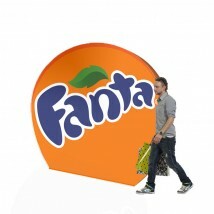 Stretch fabric stands have a number of benefits over tradition exhibition stands such as pop ups.